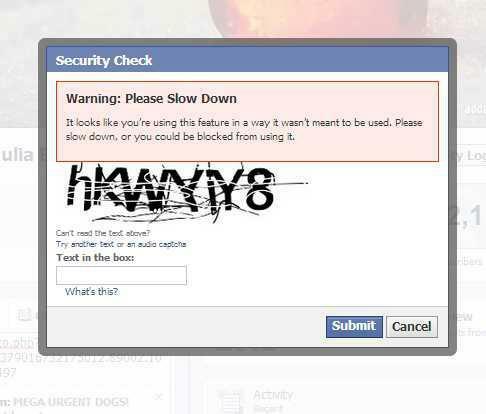 IS FACEBOOK SILENCING THE SOCIAL NETWORKER ? I havent blogged for a while, but this has slightly irritated me somewhat. It seems in the UK and USA Facebook is censoring it’s Users by blocking them with their spamming tools,when they are just very active users of their accounts using the pay to go algorithm whatever that maybe? I have since the Christmas break fell foul of this nonsense, which when you use the network as it is intended to be used ,make friends and share information with each other across the globe. So why have Facebook done this I ask myself… I’m aware many countries censor their people but have the UK Users fell foul of this malpractice of making a social network unsociable! Then I found this. I first came back and logged onto my account as usual to catch up with stuff I had missed over the festive season. it was sluggish but soon got stuff posted and shared amongst the groups I help administrate and the odd picture I thought that amused my sense humour. I had hardly posted maybe 20 items when I get a message flash up that clicking the share button to share a news article was seen as misuse of it purpose……I’m am sitting looking rather puzzled at this message then thought as im an activist against the barbaric cuts of the Welfare State in Uk maybe I had annoyed the Authorities, then I sent feedback/complaint to Facebook asking why this was happening. Silence is all I have had and numerous warnings, so I decide to set up another temp profile till this glitch is sorted I thought, within mins of my friends being added I was warned on that too for adding too many friends. I’m like is this a joke you just cant make up can you ? A social network that doesn’t want users to network and share information! In the digital age we live in where people are glued to their smart phones and other means of communication with Twitter, Stumble, and more than I care to list, how can’t we use the tools without interference from neo libertarian rulers controlling every aspect of our lives. The Sinister side of this are just a few examples here ; Store cards track what we buy , bank cards track our income,taxes,purchases,governments lose data like water down the drain,we are told what and when and how high to jump through hoops just to live our daily lives yet we accept this generally as the ‘norm’, when it comes to free speech though I draw the line. Why do these people think they have a right to have free reign to bully its people without some consequence,why can a countries people not criticise it government,or challenge their practices or say to a company providing a service they are wrong,unfair etc. The people of any country should be able to say ‘hold on a minute ‘ ! We do have a choice whether to use this media source of course,but when something has what you need all in one place why should we be forced to use another service that doesnt meet our needs.